The one you knew so long that you couldn’t even remember meeting. attention with boys, bands, and fashion. Sheryl is a filmmaker living in Denver. She graduated from Stanford University completing her senior year at FAMU, the film school in Prague where she made her first short film ALEXIA, starring French actress Alexia Stresi and Academy-Award winner Jiri Menzel.After three years of production work in NY, LA, and Arkansas (SLINGBLADE), she moved to Vermont and got her MFA in Fiction at Bennington College. Sheryl was selected as a grant recipient by the Alfred P. Sloan Foundation for her script THE PRISONER AND THE PROFESSOR. Her second short film THAW played a festival run. Her first Denver-based production, SONNET 98, made in association with 7&Co Productions was created for John Moore’s Denver Sonnets Project featuring local actors Maggy Stacy, Matt Block, and the band Sunboy. Wes graduated from Colorado Film School in 2013 with a post-production degree. He worked freelance before founding 7&Co Productions with Thomas Jaeger. Wes has shot, produced and edited numerous projects, including music videos, narrative short films, documentaries and commercials. His technical skills keep the workflow efficient and his artistic abilities provide emotionally satisfying deliverables. Wes's main passion lies in all things post-production –editing, coloring and sound design. Sterling has written and produced a number of features and shorts, including MOLLY SAYS YES, based on Joyce’s Ulysses and selected as an installment in Lars Von Trier’s GESAMPT project. Otherworks include the WINESBURG SERIES for James Franco TV, and Lee Amir-Cohen’s THE OTHER PLACE. After studying in San Francisco, and working on creative and corporate media in the Bay Area & Los Angeles. He returned to Colorado, where his passion for filmmaking was ignited by his grandfather, playwrite Robert L. Cook. His goal is to assist in strengthening the narrative film community in Denver. Johanna was born and raised in France where she studied at the University La Sorbonne Nouvelle in Paris. She moved to Los Angeles in 2011 and graduated from the American Film Institute in 2013. 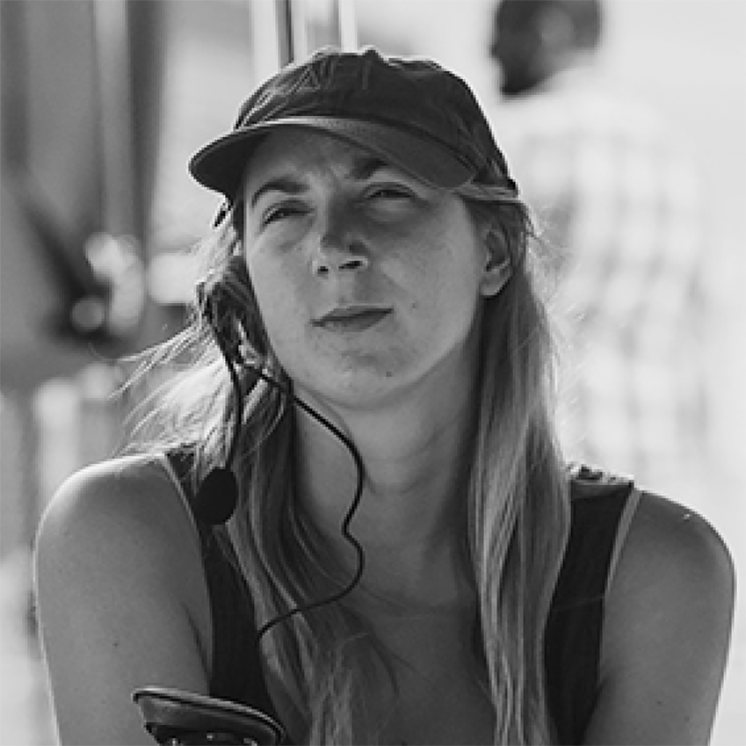 She has worked as a cinematographer on narrative films, music videos, TV shows and documentaries. She has completed four feature films, one with MarVista Entertainment, and has worked on TV shows with multiple companies, including HBO. She loves the challenge of giving life to a story, defined by the resources available, working with the beautiful association of beauty and technique. She proclaims herself a visual psychologist: her role is to understand and interpret the emotions of the characters, to create for them the best visual atmosphere in which to act. Jhené cut her teeth at the Colorado Film School. Working her way through the ranks she was able to collaborate with some of Denver's most talented crews. Her passion for helping filmmakers by digging into the heart of stories has taken her on the road to work in multiple markets. Having endeavored on commercials, feature films, and shorts has allowed her to find and develop a strong visual voice. She also posesses significant experience as an art director, set decorator, costume designer, and set dresser. When the schedule allows, Jhene is back at the Colorado Film School working as an instructor for the CFS Summer Camp for teens and tweens. Neil is a multi-instrumentalist, producer, and the co-founder and Director of Publishing of Moon Magnet Music in Denver. He has helped shape Moon Magnet into a company that represents some of the most exciting musicians in Denver’s music scene. His composition experience ranges from 30 second ad-spots to feature length films. Neil is also an experienced post-production sound engineer. When he’s not creating music for film and television, he’s performing at any number of Denver area venues with his bands The Minor Note Orchestra and Clear Eyed Fool. Alex’s passion for music and sound began at age 12 when he got his first guitar and a recording interface. That passion propelled him to the the University of Colorado Denver where we graduated with a double major in guitar performance, and audio engineering - finishing both programs with honors. He then joined the team at Coupe Studios as an audio engineer and sound designer. He finds that his musical background gives him a creative approach for original sound design and mixing. You can read about his perspectives in Recording Magazine, where he writes technical reviews about the industry’s latest gear trends and mixing techniques. Anastasia began her career in the film industry, training as a Script and Continuity Supervisor in Los Angeles with Twentieth Century Fox and Warner Brothers. In addition to script supervising, she has produced a variety of content with High Noon Entertainment and ABC. She was an Associate Producer on Chloe Zhao's feature film The Rider, winner of the Art Cinema Award in Cannes' Director's Fortnight and Grand Prize in Deauville. Alongside Anastasia's commercial producing repertoire of documentaries and docudramas are several award-winner short films including Menschen, Jack in the Box, and CODA. Devin Hume is a director, cinematographer, and dive master specializing in underwater imagery. He is the CEO of The Love Waters LLC, where his love for the ocean and stylistic skill set allows him to bring the beauty of the ocean to everyone, while promoting ocean conservation and awareness. Devin is the Producer, Director and Co-Writer of the new film Making a Killing starring Michael Jai White, Mike Starr, Jude Moran, Aida Turturro, with Sally Kirkland and Christopher Lloyd, set to be released worldwide in 2019. Marina has acted in commercials and PSA’s, but “Lily ’N’ Rose” is her first foray into narrative film. Judging by her performance, this will not be her last. Formerly a Creative Writing Major at Denver School of the Arts, Marina now studies Theatrical Arts. She still writes avidly, and plays piano. Marina says that working on “Lily ’N’ Rose” was a thrilling experience and thanks her fellow cast members and the crew for being fantastic and teaching her so much about the process. Expect big things from her. Marina is represented by Radical Artists Agency. Aïcha has performed on stage, in commercials, and as a fashion model. She is delighted to add narrative film to her resume. Aicha joined the cast late, but quickly asserted herself as Rose. She was a delight to work with and brought a fantastic energy to set. When she is not acting/modeling, etc., she participates in track and field, fencing, debate teams, and advocates for human rights and equity. Keep your eyes out for her. Grace is new to narrative film, though she has been active in the theatre community since she was eight. Her passions include performing, and when she’s not doing that, she focuses her attention on alternative music, and chai tea. She’s grateful for the empowering experience of being in “Lily ’N’ Rose,” citing the message of the film, and the female representation on set as inspirational. Grace thanks her family and friends for valuing art and for their unwavering support. Maggy Stacy is an award-winning actor, acting teacher, and voice-over artist based in Denver, Colorado. She teaches acting to children at the Denver Center of Performing Arts, performs in productions all over Denver, and avidly practices martial arts. This is Maggy’s second collaboration with Sheryl and Wes. She is represented by the Donna Baldwin Agency.